In my practice, I integrate conventional therapies (when appropriate) with complementary (alternative) therapies that may include acupuncture, magnetic therapy, homeopathy, homotoxicology, nutritional therapy, and Chinese or Western herbal therapy. When possible, our approach is to minimize conventional medications (saying” NO” to drugs) when appropriate. While each pet is different, the following general approach will apply to most pets. 1. Diet - Feeding the proper diet is the foundation upon which any integrative pet care program begins. Simply put, your pet is what he/she eats. Minimizing harmful byproducts and chemicals is essential. We encourage you to try any of the following natural diets including Nature’s Variety, Life's Abundance, Eagle Pack, Wysong, Solid Gold, Natural Balance, Muenster, Innova, California Naturals, Old Mother Hubbard, Halo, Spot’s Stew, or any similar natural food. Alternatively, you may wish to cook for your pet; an appropriate diet can be found in my books The Natural Health Bible for Dogs & Cats or 8 Weeks to a Healthy Dog. 2. Minimize Vaccines - We recommend an annual blood antibody test called a titer test to determine if and when your pet might need vaccinations. If the titer is low, your pet might need a vaccine; if the titer is normal, no vaccine is needed. Rabies vaccination is a different case and vaccination schedules are based upon state law in consideration of your pet’s health. 3. Minimize Toxins - While oral monthly heartworm preventive medication is important (we have not found any proven natural preventives) most pets do NOT need annual chemical flea and tick control (Frontline, Advantage, Advantix, Revolution, Program, etc.) We will discuss your pet’s need for parasite control and prefer natural therapies (using the chemicals only for a short time) when needed. 5. Additional therapies (homeopathics, herbs, etc.) are needed depending upon your pet’s condition. For normal healthy pets no additional supplements are usually needed. See my Handouts page for a list of helpful information. 6. Minimize Dental Disease - Dental disease is THE MOST COMMON disease in people and pets. Yet, it’s very easy to decrease the incidence of dental disease in your dog or cat. The BEST, EASIEST TO USE, dental products are available from Oxyfresh. Their special Triple Head Toothbrush makes it very easy to brush your pet’s teeth. Use the Oral Hygiene Solution in the drinking water daily (What could be easier??? You have to give your pet water each day, so you may as well make that water work to maintain your pet’s health!) Rub the Pet Gel along the pet’s gumline each day. Using the Oxyfresh products discourages plaque and tartar accumulation which is very important in maintaining fresh breath. This approach is easy and inexpensive for most owners and has proven very successful in my practice. It is a basic program designed to minimize or delay the onset of serious problems such as cancer, bowel disease, thyroid disease, diabetes, disorders of the kidneys and liver, and autoimmune disorders. Change your thinking about these pet care myths and watch your pet enjoy better health! This is true IF you feed bad food, an improperly balanced diet, or raw food as contaminated with deadly bacteria. However, if you feed a properly balanced diet, add supplements to the diet, and properly handle all food, a homemade diet can even be more nutritious for your pet than many of the processed foods on the market. Nothing could be further from the truth. Unless you are using harsh shampoos, or products made for people, frequent bathing is necessary when treating pets with skin problems. The more frequently the pet with a skin problem is bathed, the less conventional medications must be used to help cure the problem. Even pets without skin diseases can benefit from bathing weekly or more often. Not only is this incorrect, but it discriminates against our senior citizens of the pet world. Age has nothing to do with safety of anesthesia. As long as the pet is healthy, the appropriate anesthetic agents are used, and the pet is carefully monitored during the anesthetic procedure, it is no more risky to anesthetize an older pet than a younger one. And because older pets tend to have more problems that require anesthesia to correct, they usually require anesthesia more often than younger pets. Dental disease is much more than a cosmetic problem. It is the most common infectious disease in dogs and cats, and must be treated aggressively as you would with any infection. Pets with dental disease are more likely to develop heart problems, kidney problems, liver problems, and diabetes. Whenever I see in older pet who is eating less, sleeping more, and is not feeling too good, I always examine the pet's mouth. Usually the pet has dental disease, and once the teeth are cleaned, it's amazing how much better they feel! This should be no surprise since dental disease causes chronic inflammation and chronic infection in the pet's entire body. More information on oral health in pets. Probably the biggest myth is that every pet needs vaccinations at least once per year. Some doctors even recommend vaccinating pets every six months! Research shows that few if any pets need vaccines throughout their lives. The vaccines currently on the market are so good that most pets buildup an immunity that can last many years or even a lifetime. The best way to determine what vaccines your pet might need is through a simple inexpensive blood test called a vaccine titer test. Using this test in my own practice has shown me that most of my patients hardly ever need a vaccine. More on vaccines, titers and blood testing. Anesthesia can be safe for all pets, both young and old, IF the correct anesthesia is chosen for the pet’s needs. Believe in your gut feelings. You know your pet best. If you think there is something wrong and your doctor won’t listen to you, get another opinion. Communication is extremely important. If you and your veterinarian can’t communicate effectively, your pet’s health is in jeopardy. Diet is important. Feed your pet the best, most wholesome diet to ensure proper health. Educate yourself. Sometimes what you know can guide the doctor in helping your pet. 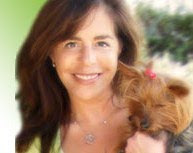 For great information on pet care, check out the articles I post on www.petcarenaturally.com. Follow your veterinarian’s recommendations for testing and treatment. Give your pet all the love and attention you can. They are only with you for a short period of time. Hope is always possible for even those cases deemed hopeless by conventional medicine when using an integrative approach to health care. Investigate a second opinion if there is any doubt about the proper diagnosis or treatment. Join groups, including email discussion groups, to learn about proper care for your pet and get support from like-minded pet owners. However, keep in mind that even the pet owner with the best intentions is not a doctor, and his or her advice isn’t necessarily medically correct or in your pet’s best interest. Know as much as you can about your pet. As a doctor, it’s very frustrating when a pet owner comes to my practice and can’t tell me the exact names of the pet’s diet and any medications or supplements the pet is taking. The more I know the more I can help your pet. Monitoring is critical when a pet is anesthetized. Proper monitoring may be the difference between life and death. Nothing is more important than preventing disease. A preventive approach to health care is better for your pet than constantly treating illness. Open your mind to all of the available options for keeping your pet healthy and treating illness. Personalized pet practice is a term I coined to indicate that your pet is unique. No 2 pets are alike, and no 2 pets are ever treated the same. Quality should never be sacrificed just to save money. You can have high quality or low cost, but not both. Regular checkups are important to allow early diagnosis and treatment. I recommend annual visits for pets under 5 years of age, and twice yearly visits for pets 5 years of age and older. Say No to drugs when safer, less expensive, alternative therapies exist. Titer testing should be used in place of vaccines to determine if and when your pet might need a booster vaccination. Understand that your doctor and staff are human. We all make mistakes and medicine is NOT an exact science. There’s actually a lot of art to the practice of medicine. Work with us to do the best for your pet. Vaccines are NOT needed in most pets on a regular basis. Watch your pet. Signs of illness can be subtle, so pay close attention to any changes in your pet’s normal behaviors. X-rays can be useful tools to show the reasons for illness when other testing doesn’t reveal a cause. You are the most important person in your pet’s life. You ultimately have the final say on the outcome of your pet’s care.